There are some life events which completely change you. As you move ahead, you're constantly aware of the mark those events have left on you, and how it seems like there's no going back. Motherhood is definitely one of those events. Even scientifically, it has been shown that a woman's mind alters chemically after she becomes a mother. 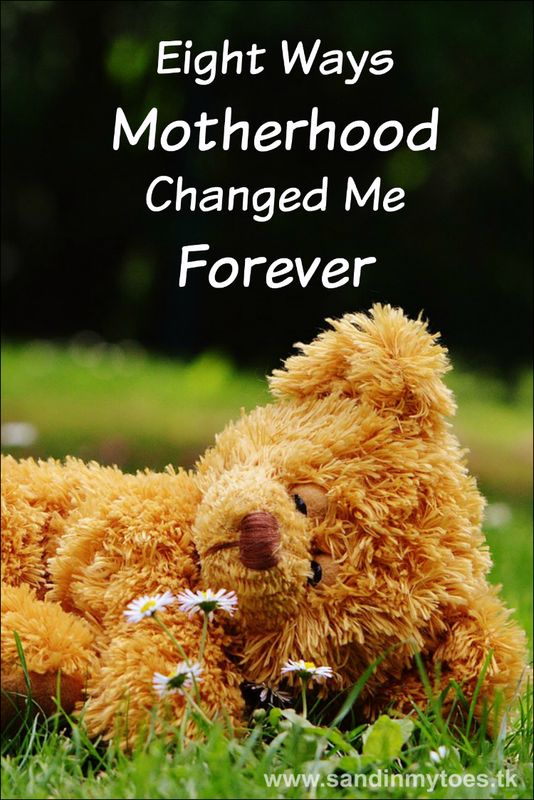 I definitely felt something change in me after my son was born. The world was the same, but I wasn't. It took me, and people around me some time to accept it, but it had happened. Some of these changes have surprised me, but in a good way! 1. I don't think about myself first. I guess this is the most significant change we notice on becoming a parent. It's like my mind is now incapable of thinking about my well-being without factoring in my child. I like it that way, but I've also learned that to be a good mom, I have to take care of myself too. 2. Few things gross me out. After dealing with spit up, puke and poo for three years, nothing is quite that icky. Pee doesn't even count. Especially when you're potty training (and especially when you have a boy!). It's just everywhere anyway. I have been handed half chewed food many times over. I've had to retrieve boogers from a little nose. It would take a lot to make me go 'eww'! 3. My body is completely different. I'm sure we've all had those days when we just look into the mirror and say 'Who is this woman?'. Yes, you can work out like crazy and get a great body, but there will always be some metabolic changes you just can't reverse. Or if you're too busy (you know, raising kids), hitting the gym is the last thing on your mind. 4. I think the world is a dangerous place. Becoming a mom can instill these irrational fears in your head, especially the first time around. I've surprised myself with the kind of things that worry me. Are those toys safe? Is that floor clean? Should I take a loo break and leave him alone on the play mat? Does that TV show have hidden psychological messages? Kidding about the last one! In my mind, the world out there is a permanently unsafe place for any child under 18. It doesn't make practical sense to think this way, but that doesn't stop my worry train. 5. I've become a creative cook. When toddlers refuse to eat a cheese sandwich yet again, you really have to get creative in the kitchen. I liked cooking even before I became a mom, but now I have to think of ways to make food 'fun' (thank you Pinterest!). Add to that a toddler who may develop new likes and dislikes every other day, and you really have to get creative. Never in my wildest dreams had I thought I'd be writing about sensory bins, and messy play, and paper plate crafts, but here I am! I'm happy to have spent all that quality time doing crafts and activities with my son. And even when he's older and not interested in crafts, I think I'll want to do something 'crafty' myself, because I've changed that way. 7. I don't know how to be carefree. I simply cannot relax completely for anything beyond 30 minutes! My mind starts wandering and then worrying about things that need to get done, whether I'm doing a good job as a parent, and what the future holds for my child. I cannot decide to do something in the spur of the moment, and everything needs to be planned days in advance. 8. The only fashion I know about is 'mommy fashion'. I don't even bother with the fashion magazines anymore. Keeping up with the latest in fashion is just too much work, and I'd rather just take a nap! But I do specialize in 'mommy fashion' which means wearing something that looks presentable and not ancient, while being ultra comfortable. In what ways has motherhood changed you completely? Lovely list that I also got to experience. Thanks, Merlinda! Yes, I'm amazed that I carry my son around so much too. I can relate with all of these. It's definitely hard to be carefree and few things gross me out too. Haha I can totally relate to not being able to relax. Just yesterday, we were all home just lounging, and I told my husband, Isn't there something that needs to be done? It almost seemed like a 'waste' to lounge because we actually had a moment to not do anything! That's happened to me so many times!